After World War II, Rover desperately needed to get car production going again. Steel was in terribly short supply and exports got first preference for all raw materials. Maurice Wilks had been using ex-army Jeeps on his farm and realising that there was no real alternative to them decided that Rover would provide one. The first prototype Land-Rovers (1947) were actually built on Jeep chassis. The bodywork was made of an aluminium alloy called Birmabright [1,2]. 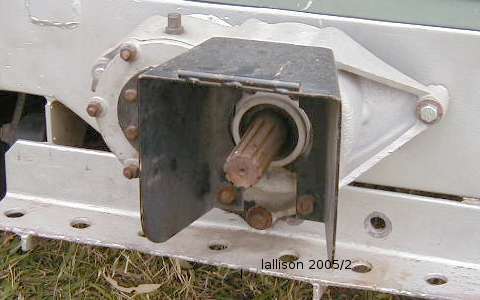 Using similar dimensions to the World War II Jeep, the first Land Rovers had an 80" wheelbase. This 80" wheel base, `Land Rover' was was unveiled at the Amsterdam Motor Show, 30 April 1948  and was produced from 1948 to 1953. It used a 1.6 litre, 4-cylinder Rover engine from the P3 Rover car range. The engine was upgraded to a 2-litre version for the 1952 season. For 1954 the Land Rover was given a complete upgrade and in addition to many changes which included the wheel base being extended by 6 inches in the rear to make the wheelbase 86 inches, another model was introduced being the long wheel base Land Rover on a wheel base of 107 inches. The 1948 to 1953 models where identified, once the new models had been announced, as the 80" models. 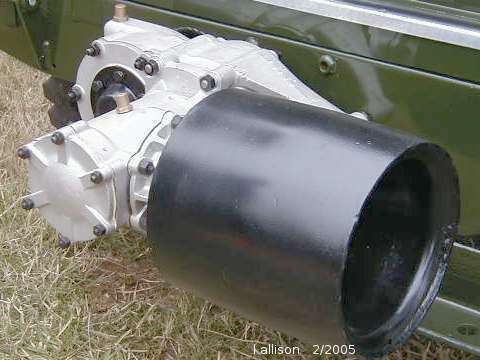 The 86" and 107" Land Rovers as they are known were only short lived as for 1957 there was another wheel base extension of 2 inches in the front of the chassis to make way for the new 2-litre diesel engine. 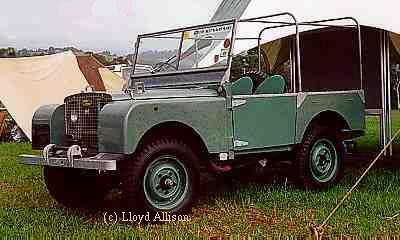 The Land Rover then became the 88" and 109" models. The 107" stayed in production to 1958 as the 5-door station wagon because it was not available with the diesel engine. 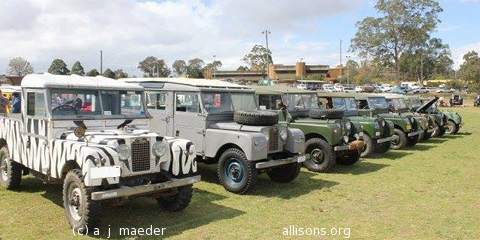 When the Series Two Land Rover was announced in 1958 all the earlier model Land Rover's, 80", 86", 107" and 109" were now known as Series One Land Rovers [- Mike]. Thanks to M. Bishop & A. J. Maeder. G. Robson. The Range Rover Land-Rover. ANZ Book Co., 1979. K. & J. Slavin, G. Mackie. Land-Rover The Unbeatable 4x4. Gentry Books 1981.